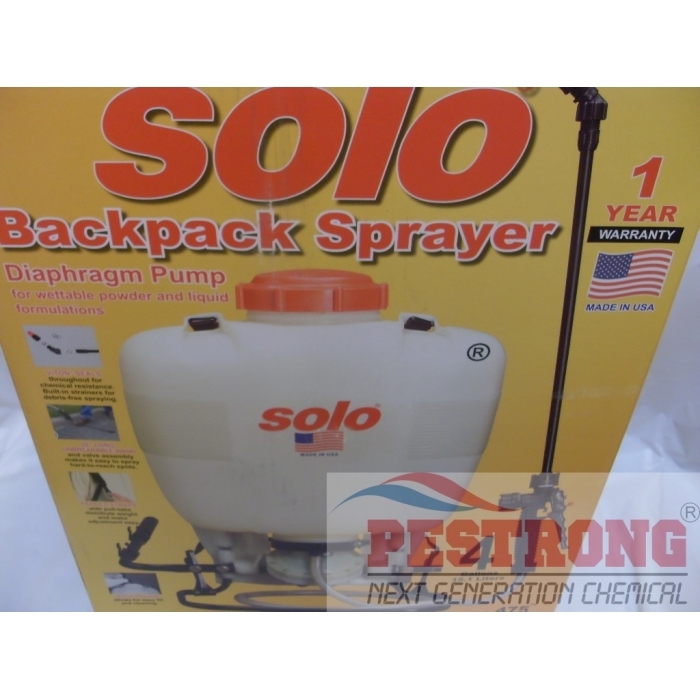 Where to Buy Solo 475 Diaphragm Backpack Sprayer, Solo 475-B 4 Gal Diaphragm Backpack Sprayer - $99.95 for Sale with Fast Free Shipping! Solo 475-B 4 Gal Diaphragm Backpack Sprayer is capable of producing a wide pressure range of up to 90 psi perform virtually every spraying task include wettable powder. 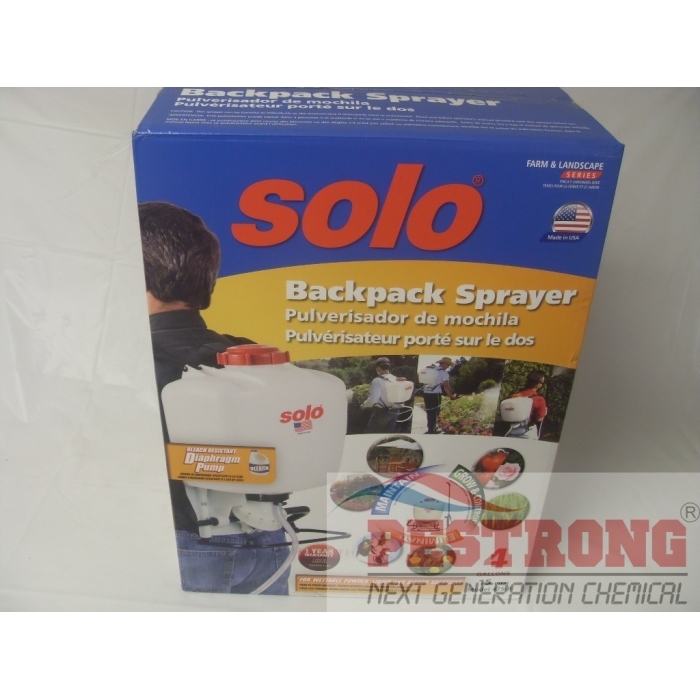 Solo 475-B 4Gal Diaphragm Backpack Sprayer is high-density polyethylene tank with ultra-violet inhibitors allows for unmatched durability and ultra-violet protection that ideal for handling chemicals in wettable powder form, as well as liquid formulations. Large 4.25" opening with filter basket. 475-B / 475-101 is sam as 475, just changed model number. Shut-off valve and wand overall length of 28" for hard-to-reach places. 4' of high-pressure hose. Padded shoulder straps for greater comfort. The model 475 is capable of producing up to 60 psi, with its rugged connecting rod-actuated diaphragm pump. The diaphragm is made of high-quality material for its resistance to harsh chemicals and abrasion and its long life expectancy. By design the diaphragm is able to pass small abrasive particles without damage to the pump assembly. The diaphragm pump is ideal for handling chemicals in wettable powder form, as well as liquid formulations. Great sprayer. I got this to use for early spring spray applications. It worked great and I didn't need to exhaust myself pumping this to get the best spray. Spray was consistent thanks to the diaphragm.